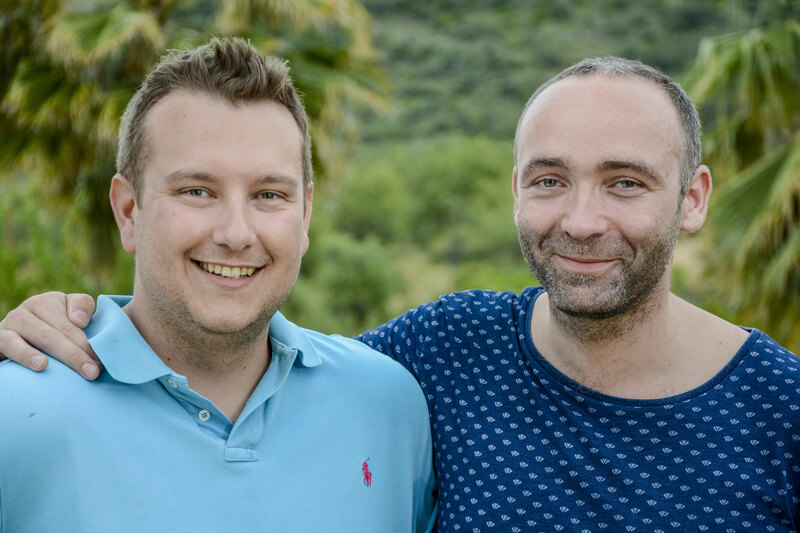 Are you wondering how we, Kristof en Frederik, ended up in Portugal? It's a long story, hereunder you can read the short version. Belgium is a nice country, we were born there, grew up there and had nice jobs there. Our family lives there, as well as our friends. Moving wasn't exactly something that immediately occurred to us. Until we went to Portugal on a holiday in 2012 and instantly got hooked on the Portuguese way of life: hospitality, good food, nice drinks, respect for nature, very little fuss. One thing led to another and in 2013 we bought our very first house: Quinta Charlotte. This farm from 1903 had not lost its charm, but it was due for a thorough renovation. In 2016 two other holiday homes followed, which we named Casinhas Fim do Mundo, after their location behind the hills of the Lourinha coast. 2017 is the year in which we bought a beautiful piece of land, with the intention to build on it according to our values of sustainability and comfort. Gradually the idea matured to run a small bed and breakfast. Extra advantage of our permanent presence: now we could also take care of the rental of houses and the follow-up of our building project. Eventually we cut the knot: on March 23, 2018 we left in a car full of memories direction Serra do Bouro. We are happy to welcome you to our dream destination!